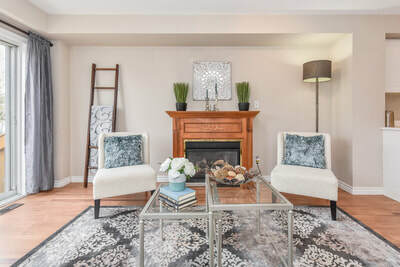 ​We provide innovative and imaginative home staging and decorating services that will ignite and inspire you! Building upon the beauty of Wellington County... one home at a time. This historic downtown Hespler home was a true gem- century stone exterior and upscale interior. We were asked to stage the home with high-end rustic/modern furnishings, befitting the home's target market. The "wow factor" packed a powerful punch when we teamed up with Organic Interiors, incorporating their show-stopping bucksaw dining table! The home SOLD and closed in a matter of days. 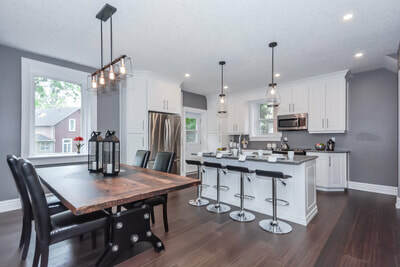 In the words of the listing agent Scott Robert from Trillium West Real Estate Brokerage, we "knocked it out of the park" on this home staging project. Being one of the oldest houses in Fergus, this beautiful stone home held historic value. 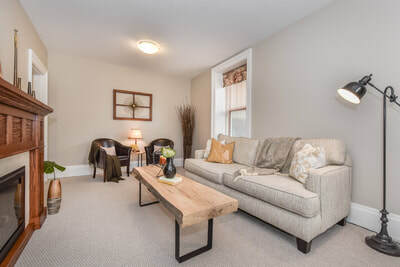 The owners had extensively renovated it, in keeping with the original charm and character. When the owners decided to move on, some rooms were still empty and needed staging. 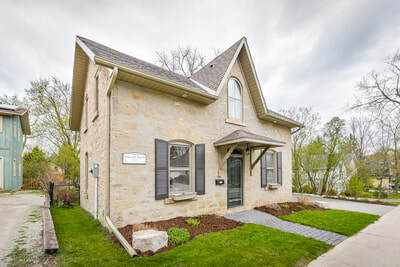 We had a blast decorating this Fergus home with unique decor geared to a home of this age and character. The home SOLD in a matter of days. 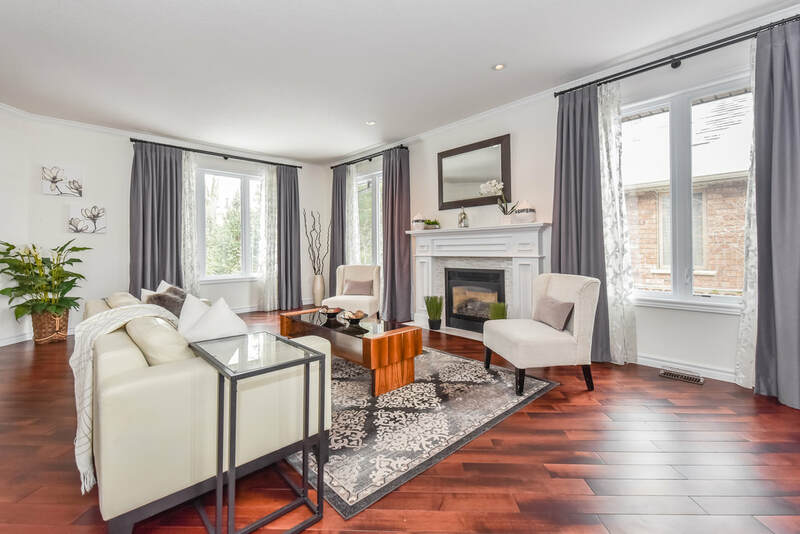 We collaborated with Paul Martin from Edge Realty Solutions on this project. 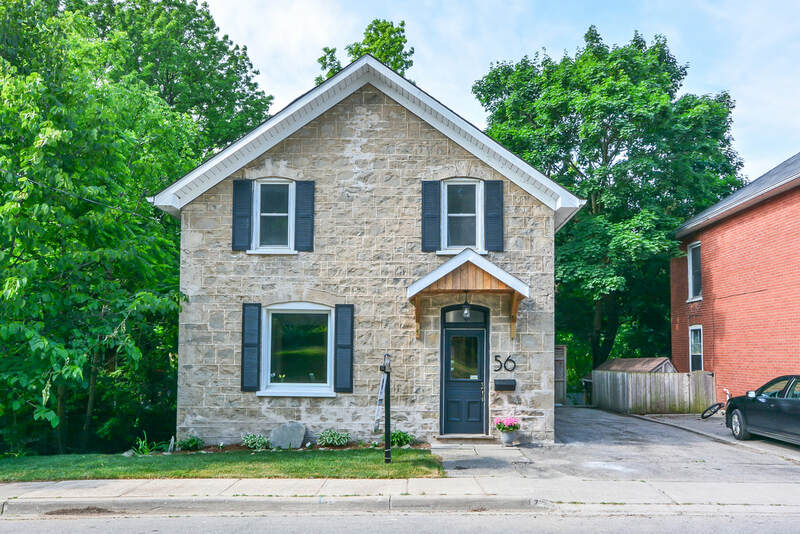 This Elora bungalow had been on the market for a number of weeks with little success. After a home staging consultation we concluded that the layout of the home was confusing buyers. We eliminated a second dining area, removed a chandelier, reconfigured furniture, and brought in a few key pieces of furniture and accents. And the home... SOLD! 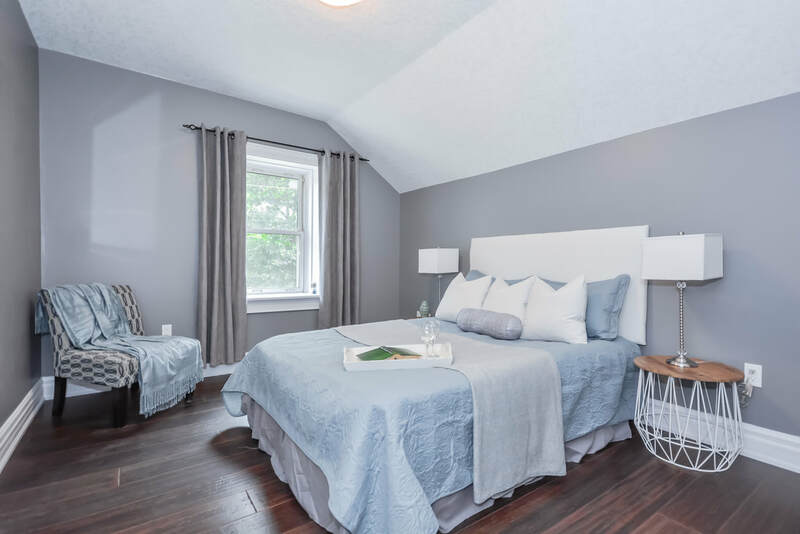 We teamed up with Melissa Seagrove from Edge Realty Solutions on this home staging success. 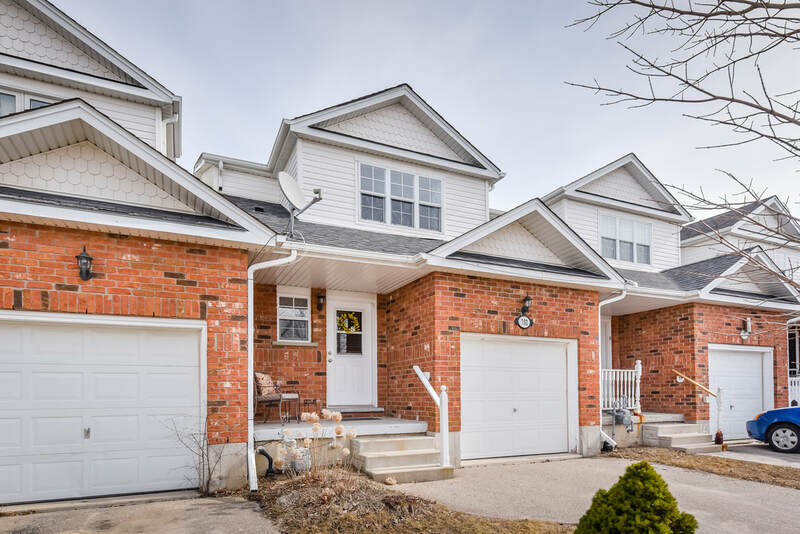 Sold in a matter of days ABOVE asking price! 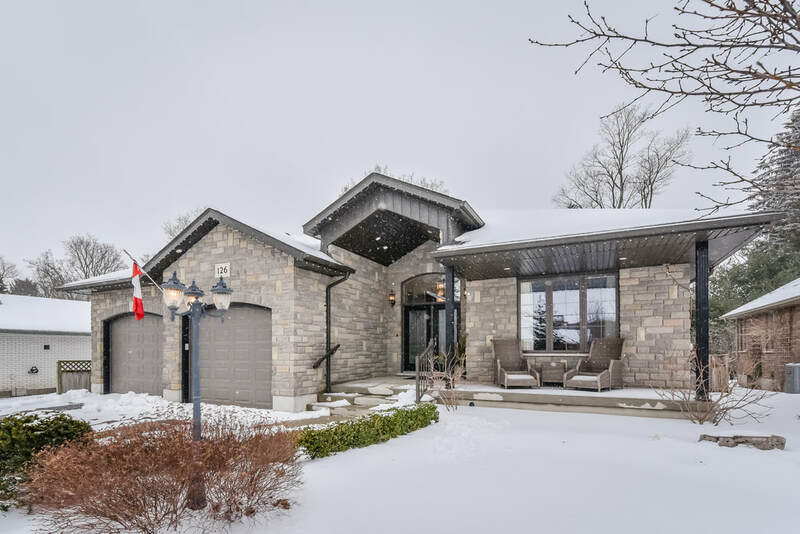 This beautiful Elora bungalow was staged during a blizzard!! We braved the ice and snow to get the job done right. Apparently, Buyers were impressed because it sold firm in less than 7 days for above asking price. 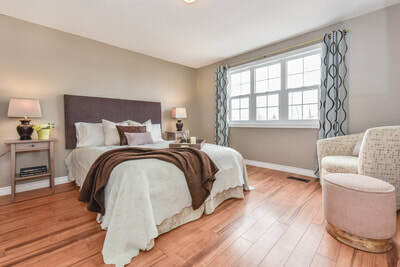 We collaborated with Kevin Cameron from Edge Realty Solutions on this very successful listing. This Fergus townhome just happened to hit the market at the SAME TIME as the neighbour's house two doors down! The homes were identical in layout. But there was one major difference... this one had been staged by MLE Homescapes! Guess which house sold within 2 weeks? You guessed it! The staged home. We were thrilled to work with Carolyn Sullivan from Edge Realty Solutions on this great home. 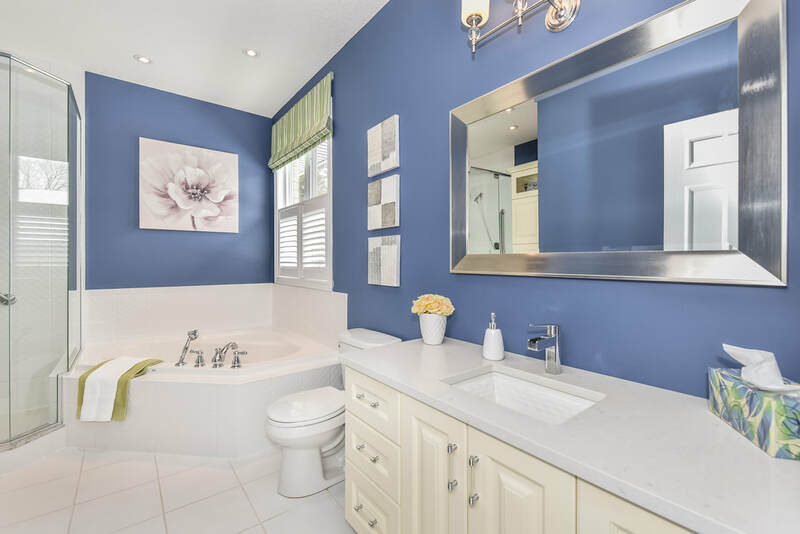 Staged and SOLD lightening fast. 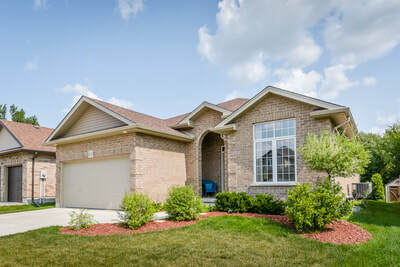 ​This Fergus home had previously been on the market with little interest and NO offers. But the FIRST Buyers to view the home after it was staged fell in love with it and bought it for their family! Congrats to both Buyer and Seller and THANK YOU to Penny Maxwell of Edge Realty Solutions. The stats are in! Click the button below to read the Home Staging Stats collected by the National Association of Realtors. 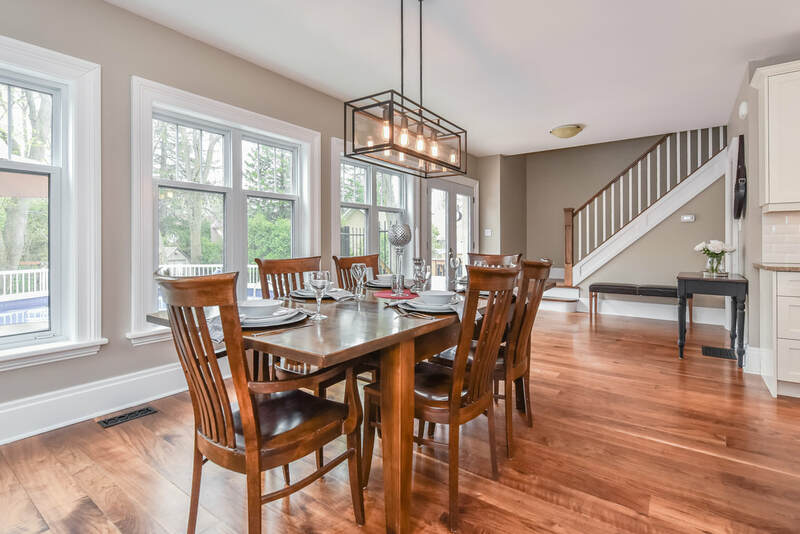 Increase your home's selling price and decrease it's time on the market ​by allowing us to provide you with a comprehensive, honest evaluation of your home's presentation. Let us help you present your home as a "Model Home" that buyers can envision themselves living in. We look at your home objectively and advise you on how to stage your home so it makes a great first impression on prospective buyers. 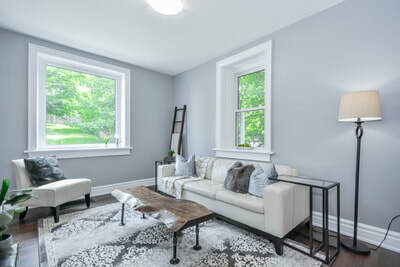 For $125 you will receive a thorough evaluation of your entire home with ideas and solutions to improve curb appeal, neutralize, de-clutter, and de-personalize your home. 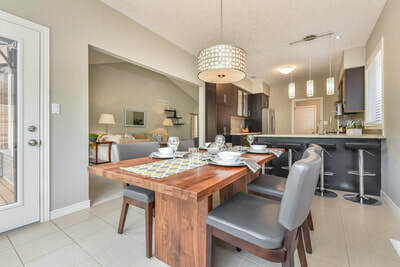 ​MLE Homescapes also offers affordable short-term rental of furniture and decorative accents. Stage a vacant or partially furnished home to create a warm inviting atmosphere for prospective buyers. It's more affordable than you think. Call for a free quote! With over 10 years of hands-on experience and education, MLE Homescapes offers unique, cost-effective, and practical solutions, working with both home owners and real estate professionals. ​Call, text, or email to find out more.